Go teacher needed in Skokie, IL. We are looking for a weiqi teacher for the Xilin North Shore Chinese School (Sunday school in Skokie, IL.) Click here for details and contact info. The 10th, and for most teams, final round is scheduled for this Sunday, July 14 on Pandanet IGS. At the conclusion of this round, the top two teams in the A League will be invited to play one final playoff round to take place in person at the 2013 US Go Congress on Saturday afternoon, August 2. LA currently has a a slight lead over Boston and Washington, DC in the latest standings. Click here for schedule and results of previous rounds. Jonathan Hop 3d, author of the “So You Want to Play Go?” series, has opened a new website featuring video lectures for go players of all levels. There are several free lessons for new users to try the service out, and then lessons on various topics can be rented for $1.99. “Currently the site has about 20 lectures,” says Hop, “but little by little I will put more up. My goal is to make go more of a game that Americans can relate to, and see as fun and personable. You’ll find lectures for total beginners, as well as those on more advanced topics like invasions and josekis.” Hop has given lectures on KGS, and has been teaching players, from total beginners to single digit kyus, for a number of years. Check out Hop’s site here. Go has special advantages as a freestanding activity, but it also has a place among classic games and puzzles. 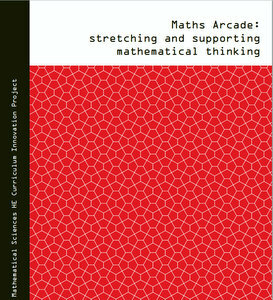 We found it listed recently among the activities British universities are using to “support struggling learners, stretch confident learners, and encourage staff-student interaction in a social and mathematical context,” according to the recently published Maths Arcade: Stretching and Supporting Logical Thinking. The original Maths Arcade was set up by Noel-Ann Bradshaw at the University of Greenwich in September 2010, not to start another “chess club” but to increase interaction between students and to get them talking about the games and the strategies involved rather than just playing competitively. Math students are often shy; at Maths Arcade they could form friendships in a safe environment. The report cites a study indicating that students with autistic spectrum disorders (ASD) including Asperger syndrome could also benefit from an activity based on shared interest and enthusiasm for games, puzzles and problem solving. According to this report, students can play a wide variety of strategy games and puzzles with each other and staff in weekly drop-in sessions. Sessions often take place in the Student Union to attract a wider range of students. Staff also offers math tutorial support. Simply playing games and puzzles creates a logic-based social environment; strategies and modifications to the rules might also be analyzed. Students could explicitly analyze these games to work out whether the person who moves first is more likely to win, examine how to force a winning position, see what happens when the rules are modified slightly, and even design their own strategy games. 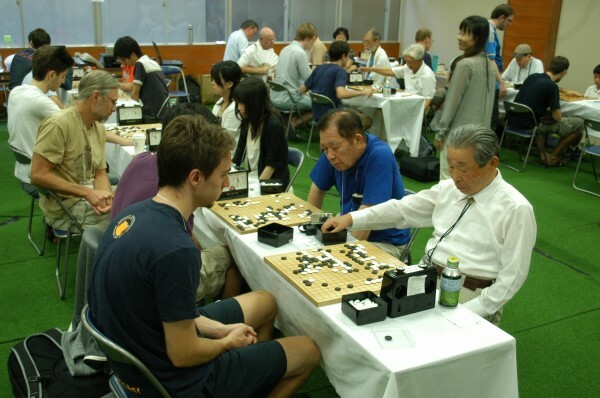 Oscar Selby was the overall winner at the UK Go Challenge 2013 finals, played Saturday July 6. Selby (right), a 10-kyu from Epsom recently featured in the “Ultimate Child Genius” Competition (UK Youth Champ Oscar Selby In “Ultimate Child Genius” Competition, 6/22 EJ) also won the U10 Boys’ category. Roella Smith 13k of Cambridge was Top Girl, also coming first in the U14 Girls’. David Robson and Melchior Chiu were second and third respectively overall. 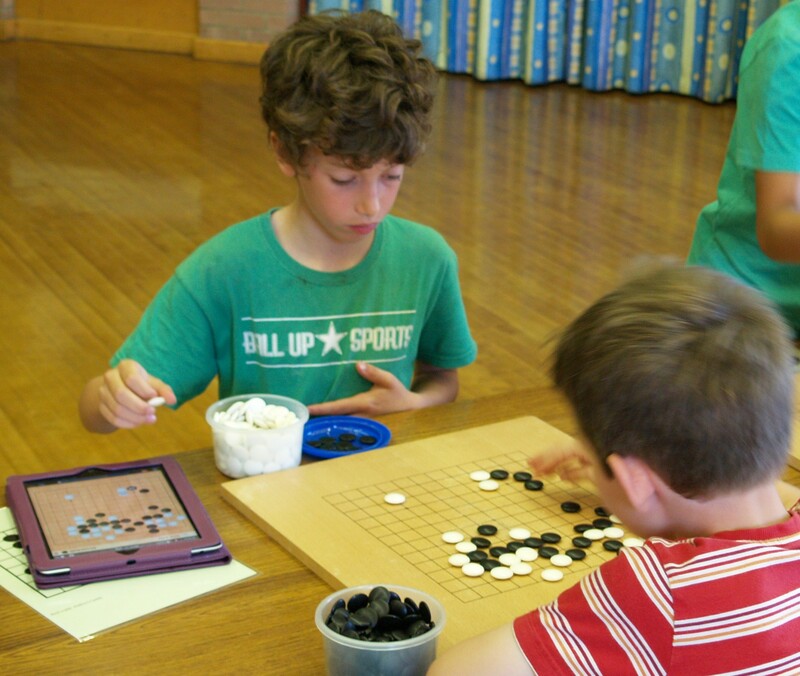 The UK Go Challenge is a 13×13 nationwide event mounted by the British Go Association (BGA) since 2004 and modeled on the similar UK Chess Challenge, with the aim of encouraging youngsters to take up the game. Heats were run in schools through the year culminating in this weekend’s finals, in which children not taking part in the heats could also participate. They were held at Milton Church of England Primary School in Milton, near Cambridge, and were organized by BGA VP Tony Atkins. Click here for full results. Though Selby was given a good chance of winning the (British) Channel 4 TV Child Genius competition, he lost out in the final to 11-year-old wordmeister and world Scrabble champion Shrinidhi Prakash. Click here for the episode, with playback (total playing time about 45mins with commercials; may not play everywhere), including footage (at about 5:30) of Selby at this year’s British Youth Go Championship. Going to Japan to train to play go is a dream for many western go players. It’s a dream come true for 32 players from around the world, who are now attending the 3-week Osaka Go Camp led by by Maeda Ryo 6P and Li Ting 1P. The camp started July 1, and most of the participants are from the United States, followed by Canada, France and Germany; all told, there are ten different nations represented by players ranging from 25-kyu up to 7-dan. 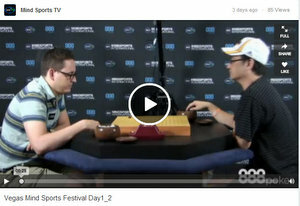 The daily schedule includes one league game and different kinds of professional lectures. Maeda is stressing the importance of endgame reading and gives out homework for that. The winner of the camp league will get the opportunity to play a teaching game against a professional 9-dan. 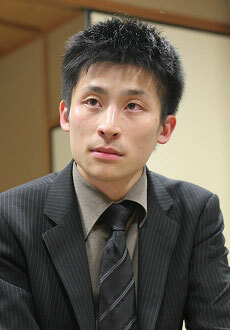 The most promising candidate so far is Lionel Zhang 6D from the US, who has four wins and no losses thus far. On the weekend there are friendly tournaments against local players visiting the camp. Some of them are regular visitors to the US Go Congress and were happy to be able to play in their hometown against westerners. Wednesday and Thursday are free days that can be used for sightseeing trips. There have already been trips to Kansai Kiin, Osaka Castle and Kyoto. Some people did not want to stop playing go for even a day and used their free time to pay a visit to the Kansai Branch of Nihon Kiin and challenged the people there. The professionals are not just teaching go; they also take time to show participants around. Especially going out for dinner with local people is very worthwhile. Nakano Yasuhiro 9P even gave an example of traditional Japanese music, giving a performance with a shamisen, a three-stringed, Japanese musical instrument. Click here for additional photos and reports on the camp’s blog. 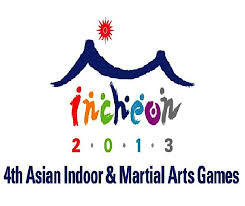 Korea and China Take the Prizes at Asian Indoor & Martial Arts Games: On July 2, the finals of the individual male competition and the Pair Go tournament were held at the 4th Asian Indoor & Martial Arts Games. In the former, Tang Weixing 3P of China took first place, and in the latter victory went to the Chinese team of (Ms.) Gao Xing 1P and Peng Liyao 5P. The following day, the second stage of go competition started, that is, the male and female team championships. In the male team championship, three-player teams from ten countries started out in a four-round Swiss System tournament, which was followed by a knock-out tournament for the top four. The results of the Japanese team are given below (the team consisted of Hirata Tomoya 3P, Tsuruta Kazushi 2P, and Motoki Katsuya 2P), followed by details of the knock-out stage. Round 1 (July 3). China beat Japan 3-0; Round 2 (July 3). Japan beat Hong Kong 2-1; Round 3 (July 4). Japan beat Mongolia 3-0; Round 4 (July 4). Japan beat Singapore 3-0. Japan qualified for the knock-out. Knock-out stage: Semifinals (July 5). Korea beat Japan 2-1; China beat Chinese Taipei 3-0. Final (July 5). Korea beat China 2-1. 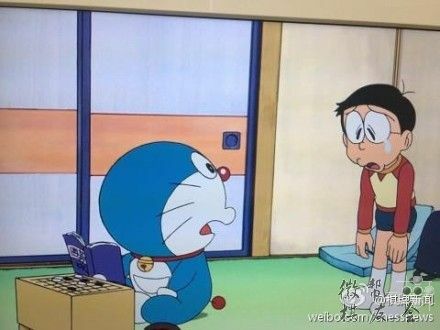 Japan did not enter a team in the women’s team tournament. The results in the knock-out round were as follows: Semifinals (July 5). China beat Chinese Taipei 2-1; Korea beat Thailand 3-0; Final (July 5). China beat Korea 2-1.
up on 6-2, making a four-way tie for first. However, the rule in the Meijin League is that only the two highest-ranked players in a multiple tie qualify for the play-off. That would be either Hane or Iyama and Kono. That makes it very simple for Cho: whatever happens, he has to win his final game. Kono Rin Makes Good Start in Gosei: Kono Rin 9P (right) has got off to an excellent start in his challenge for the 38th Gosei title. Before this match began, his record against the defending champion, Iyama Yuta, was a dismal six wins to 14 losses; moreover, he had lost eight games in a row, including a wipe-out in last year’s Tengen title match. However, when the Gosei match started on July 6, he showed that past results are irrelevant to a title match. Taking black, he forced Iyama to resign after 161 moves. The game was played in Kanazawa City in Ishikawa Prefecture. The venue was in the Hokkoku Newspaper Meeting Hall , an ultra-modern 20-storey building that is the headquarters of one of the sponsors of the title, the Hokkoku (= North Country) Newspaper. The second game is scheduled for July 22.